DE2-115 Control Panel – allows users to access various components on the DE2-115 platform from a host computer. 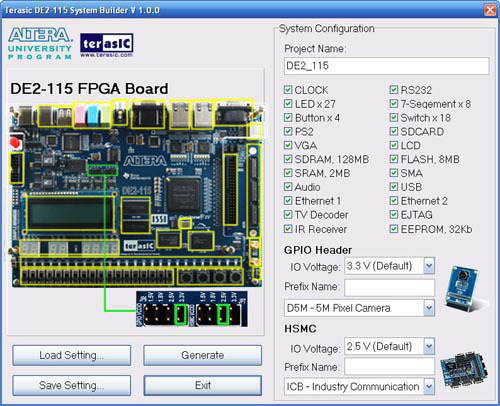 DE2-115 System Builder – a powerful tool that comes with the DE2-115 board. 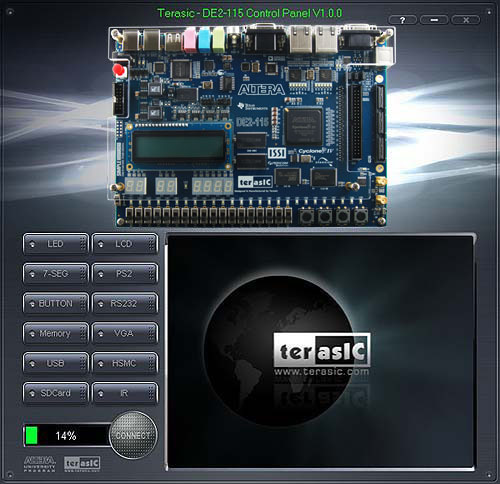 This tool will allow users to create a Quartus II project file on their custom design for the DE2-115 board. The top-level design file, pin assignments, and I/O standard settings for the DE2-115 board will be generated automatically from this tool. In addition, through the GPIO and HSMC connectors you can select various daughter cards in conjunction with the DE2-115 using the DE2-115 System Builder.